Privacy and anonymity are one of the crucial concerns we face today. With the NSA tracing our activities online and hackers to welcome us at every corner of this digital universe, our security is vulnerable than ever before. With a VPN, intellectuals among us flee from these hassles; because, a VPN hides your real IP and makes you untraceable online. However, selecting a VPN service among countless available in the market is quite a tough decision to make. There are many VPN service providers who provide excellent services in exchange of competitive price. The resembling package plans offered by most VPN service providers often confuse the new users. In fact, most of them, with their lucrative promises, deceive us by not delivering what we actually expected. For this reason, we review a VPN service provider every now and then. We pick a random VPN service provider and evaluate the package plans it offers in exchange of the price charged. Furthermore, we critique the availability of its servers and benefits that one can avail by using that particular VPN service. That’s not all, we also perform speed tests in order to scrutinize whether the VPN service provider keeps the promises that it makes. 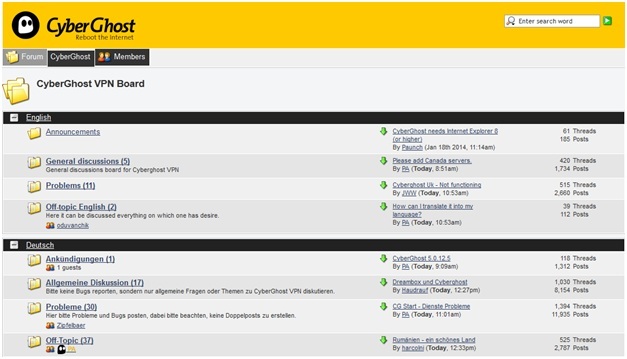 The VPN service provider selected for the review today is CyberGhost VPN. In this section of CyberGhost VPN review of 2016, we will evaluate the package plans offered by CyberGhost VPN in exchange of the price charged against the service. It is mandatory to review the packages provided by a VPN service before making a purchase decision. Most of you might seek an easy-on-wallet VPN service; yet, don’t want to compromise on the quality of service. Hence, we will critique the package plans offered by CyberGhost VPN to facilitate your purchase decision. There are 2 fundamental package plans offered by CyberGhost. The package plans offered by this VPN service provider are: Premium and Premium Plus. CyberGhost’s package plan offers unlimited bandwidth, unlimited traffic (disconnects after 3 hours), AES 256 bit encryption, OpenVPN protocol; access to around 38 FREE servers in 15 countries, anti-finger printing system and single device connectivity. For a moment I thought that there are so many features that CyberGhost VPN offers but then it came to me. I became curious about the disconnection of the monthly package plan after 3 hours. Hence, I tried to inquire it from the customer service. I was quite astonished from prompt response from the customer service representative. He affirmed that the monthly service disconnects after 3 hours due to security reasons; however, one can reconnect it again and again and again without paying a single penny. In the industry where VPN service providers don’t even provide a FREE trial, CyberGhost offers FREE VPN giveaway. This portrays that either they are very stupid or concerned about their customers’ loyalty. Anyway, despite of limited access to servers and minimal protocols to use, this is an ideal package plan for any newbie seeking a VPN. Other plans offered are Premium and Premium Plus. If you register for CyberGhost’s Premium Plan (with price as low as $3.33 per month), you get to avail benefits like unlimited bandwidth, unlimited traffic, AES 256 bit encryption, diverse protocols (PPTP, L2TP and OpenVPN), 306 servers in 24 countries, anti-finger printing system and 1 device connectivity. 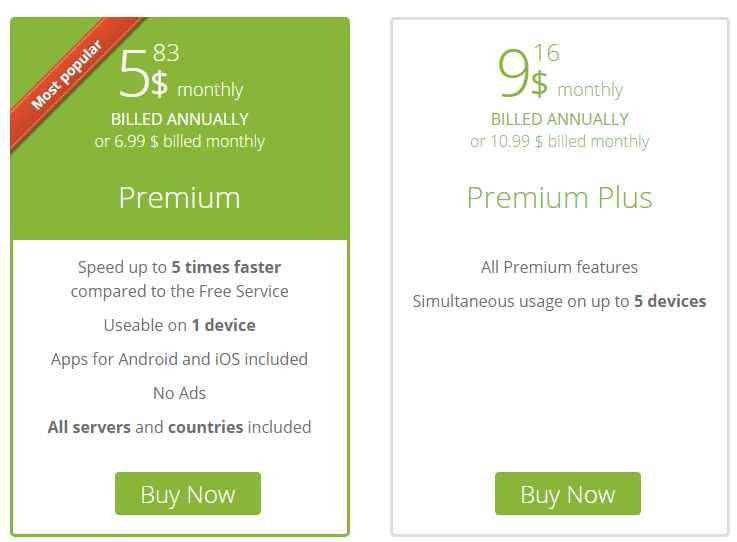 Premium Plus plan (with price as low as $5.83 per month) offers features similar to the preceding plan discussed with one alteration however. With a Premium Plus plan, you get the liberty to connect 5 devices simultaneously. Numbers of servers and their geographical dispersion are one of the crucial factors to consider before buying a VPN service. There are different reasons for which you may prefer to use a VPN; bypassing geo-restriction is one of them. A VPN service with its many geographically scattered servers allows you to bypass all the geo-restrictions imposed on content. Hence, with a VPN, you can access content (websites, social networking platforms, streaming links and even TV shows) being anywhere – from anywhere. CyberGhost VPN offers 306 geographically scattered servers in 24 countries: U.S, U.K, Austria, Canada, Czech Republic, Germany, Denmark, Finland, Spain, Hong Kong, France, Ireland, Luxembourg, Italy, Norway, Netherlands, Poland, Romania, Russia, Sweden, Singapore, Switzerland and Ukraine. CyberGhost VPN has a huge network of servers in different countries of the world. This can facilitate you to access probably any content of your choice from any country that you prefer. In exchange of market competitive price, this is an outstanding feature offered by CyberGhost VPN. One of the core reasons for which you select a VPN as your online protector is your security. There are different methods through which a VPN service ensures your security and confidentiality; but, the most significant among them all is encryption. Encryption is sort of a backup plan which secures your confidentiality. There are different protocols that support a VPN that you may prefer. PPTP (Point-to-Point Tunneling Protocol) is one of the basic protocols supported by a VPN services provider; this protocol modestly deteriorates your Internet speed and offers moderate security. When we compare the protocols to our TotalVPN review, we will see a massive contrast. 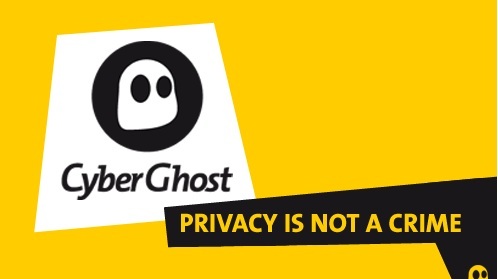 Since CyberGhost is free, it only offers limited protocols, whereas TotalVPN is a premium provider and offers users more options to secure your online privacy. However, L2TP (Layer-to-Tunneling Protocol) is a successor of PPTP; this protocol offers advanced security but has a considerable impact on your actual Internet speed. Yet, in the confrontation of protocols; especially, when it comes to PPTP vs. L2TP – L2TP wins as it is preferred by the security concerned individuals. The protocols offered supported by CyberGhost VPN are PPTP, L2TP and OpenVPN. Nevertheless, CyberGhost VPN does not support SSTP, SSL or SSH protocols. These protocols are preferred by the ones who have excellent (in terms of speed) Internet connection; because, their impact on your Internet speed is quite significant. Furthermore, the individuals that prefer these protocols are obsessively conscious about their security. These protocols accompany encryption which can be barely decrypted by any hacker or unauthorized person who wants to access your data. So, CyberGhost VPN might not serve as an optimal alternative for all you security freaks out there. However, it would be an excellent choice if you are concerned about your security without compromising on your Internet speed. Device compatibility is one of the prime features that you need to consider before buying a VPN service. In a life where you are always one-the-go, VPN that you prefer must support different devices that may use for diverse reasons. CyberGhost in this regard serve as an excellent alternative. CyberGhost VPN is compatible with different devices such as PCs, Laptops, Smartphones and Tablets etc. This allows you to use your VPN on different operating systems and platforms such as Windows (2000, XP, 2007 and 2008 etc. ), MacOS, Linux, Android and iOS etc. These are the most frequently preferred operating systems and platforms; hence, it can be said that CyberGhost VPN offers outstanding device compatibility. CyberGhost VPN offers 24/7/365 live customer and tech support. However, every VPN service provider brags about it; hence, in order to make sure of it, we tried to contact customer service representatives of CyberGhost. The query asked from the customer service representative was regarding the plans they offer. The snapshot prescribed below provides the glimpse of a conversation between me and customer service representative of CyberGhost VPN. I faked my name and pretended if I was a naïve user seeking a VPN. When I posted my query on their website, I was contacted within 2 minutes and total time elapsed on chat was 9 minutes and 22 seconds. During our conversation, the customer service representative calmly responded to every question I asked despite of bragging about “why I should buy their service” like most service providers do. In short, CyberGhost VPN has an excellent customer and tech support which will timely respond to all your concerns. There are many features and benefits associated with CyberGhost VPN; making it an excellent choice among all other alternative VPN service providers. However, there was one feature that shined among all and can be declared as their unique selling proposition. CyberGhost VPN unlike others offers FREE VPN. This is an offer I think no one can deny. I believe that in an industry filled with hundreds of VPN service providers; offering a FREE VPN is actually quite a smart move by CyberGhost to earn customer loyalty. Diversity in payment methods offered is one of the essential characteristics to explore while reviewing a VPN service provider. It is like providing convenient transaction process to the users. CyberGhost VPN unfortunately doesn’t have too many options to offer. 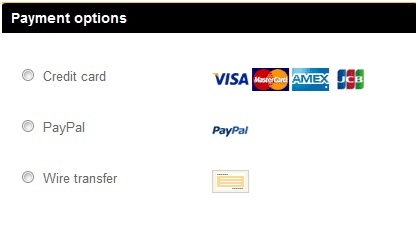 CyberGhost only accepts transactions through Credit Cards, Wire Transfer and PayPal. Hence, it can be said that the VPN service lacks diversity in payment methods offered. 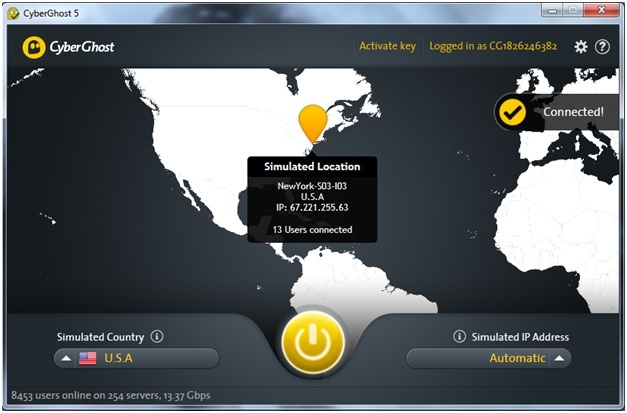 CyberGhost VPN offers FREE software that is compatible with different devices. The software runs smoothly on Windows along with other operating systems and platforms such as Linux, MacOS, Android and iOS. The software is easy to use and doesn’t occupy much space of your hard drive. CyberGhost VPN doesn’t offer tutorials or guides unlike other VPN service providers. However, CyberGhost VPN operates an official forum where users come, interact and share their concerns. This is actually an innovative approach which can be favored by some and condemned by others. On these forums, people post their concerns and they are eventually resolved by the concerned personnel. In fact, if you require tutorials for manual configuration, CyberGhost will furnish them as well via their official forum. This means that your VPN service provider can monitor your logs, search history or whatever details you don’t want to disclose. On the other hand, there are a few VPN service providers who ensure your privacy by offering a concrete privacy and log policy. CyberGhost VPN with its no-logging policy is an excellent alternative to consider in this regard. Frankly speaking, we all are infatuated with the word “FREE”. Hence, any newbie seeking a VPN service would definitely prefer a service provider that offers a FREE trial. CyberGhost VPN doesn’t offer a FREE trial. In fact, CyberGhost offers FREE VPN for its users. With this feature, offered by CyberGhost VPN only; you can access 38 servers in 15 countries and enjoy benefits like unlimited bandwidth, 256 bit encryption and OpenVPN protocol. All the features and benefits offered by a VPN service provider don’t seem to have any value if the VPN connection severely deteriorates your Internet speed. It is widely known fact that a VPN connection affects your Internet speed; however, one should prefer a VPN connection whose impact on real Internet speed is minimal. In order to test the impact depicted by CyberGhost VPN on Internet speed, we tested CyberGhost VPN before and after connectivity. We used 100 Mbps connection to test CyberGhost’s Internet speed. The snapshot given below was taken before connecting the VPN. The ping before connecting CyberGhost VPN was 7ms; download speed was 95.43 Mbps and upload speed was 4.66 Mbps. The snapshot given below was taken after connecting CyberGhost VPN’s UK server. It can be noticed that the ping dropped from 7ms to 0ms which is quite exceptional findings. However, download speed was reduced from 95.43 Mbps to 55.46 Mbps. Nevertheless, upload speed wasn’t affected much; before connecting CyberGhost VPN, upload speed was 4.66 Mbps and after connecting the VPN, speed dropped to 4.30 Mbps. Hence, it can be said that CyberGhost VPN doesn’t have much influence on upload speed but it diminishes download speed by approximately 42%. After detailed analysis of CyberGhost VPN and its package plans, it can be said that CyberGhost serves as an excellent alternative for those who currently seek a VPN. CyberGhost unlike other VPN service providers offers FREE VPN to its users without any restriction or limitation on usage. Furthermore, CyberGhost presents two feature-rich package plans in exchange of affordable price. The speed test results representing CyberGhost VPN are satisfactory as the Internet speed was diminished by 42% but the ping improved. So, CyberGhost VPN can be an excellent choice for gamers seeking a VPN. Despite of its lack of diversity in payment options and impact on Internet speed, this review is very positive about CyberGhost VPN. Now that you have read about CyberGhost VPN, how you about looking at some of these VPN reviews.